Noble Desktop has been a leading web design school since the early days of the internet. Through intro classes and certificate programs, we’ve trained over 45,000 designers and freelancers since 1990. Visual Design is creating the look and feel of websites and apps. Learn to create your designs with Sketch, Photoshop, or Adobe XD, and design great-looking web pages in our Visual Design Bootcamp. Learn user experience design by applying UX processes to real-world projects. Create prototypes and wireframes, conduct user testing, create user personas, and present your findings. In this hands-on, highly interactive workshop, we’ll break down the cyclical UX process of observation, measurement, and improvement. The GreenSock Animation Platform (GSAP) has become the industry standard for scripted animation due to its advanced features and incredible performance. This class offers a comprehensive exploration of GSAP. Learn how it can bring powerful & engaging animation to your interactive projects. Why Learn Web Design at Noble Desktop? 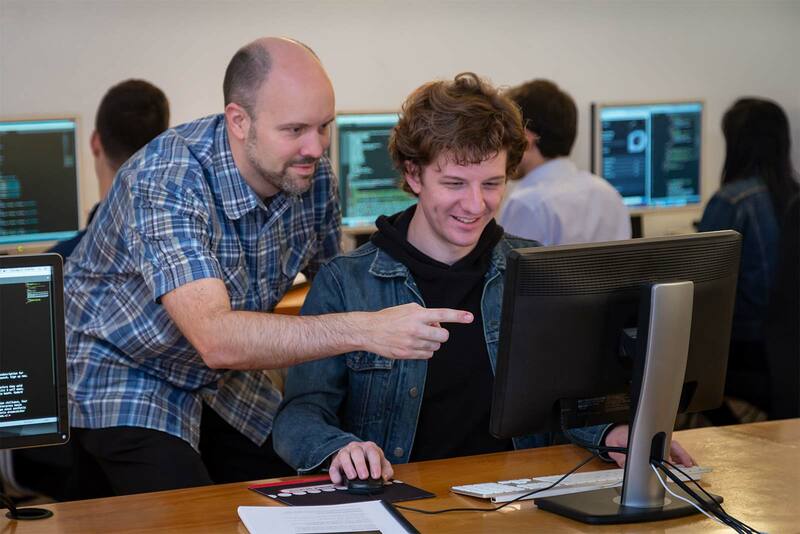 Start or accelerate your career in tech with courses in web and visual design. Put together the course sequence of your dreams, with flexible options including weeknight classes, accelerated bootcamp programs, and individual courses that can be applied to certificate programs later on. You won’t need to quit your job or take out a loan to jump start your career in design. Our module-style courses are affordable, so you can take only the classes you need. By adding more design skills to your repertoire, you’ll increase your earning potential and demonstrate a solid grasp of popular visual and web design technologies. We offer a variety of courses for aspiring web designers that you can put together to form your own academic program. Begin with short courses and add additional courses later on to earn a certificate. Take only the courses you need, when you need them. Or attend our New York State licensed certificate programs, which will prepare you for a new career in design. The possibilities are endless. 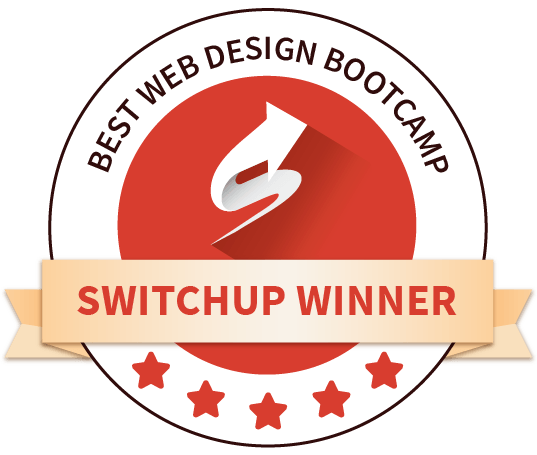 Excellent web design school! The staff and teachers are all enthusiastic, very knowledgeable and super helpful. In addition, the class workbook is really well laid out so that I am able to work on things at home and solidify the subject. Take a class! I had always wanted to learn web design but wasn't sure where to start. Noble Desktop gave me the push necessary to get a firm grasp on the basics and built the necessary foundation for me to start exploring new possibilities on my own. The skills learned will most definitely help me grow both professionally and creatively. As a complete novice entering the Web Design Certificate courses, I can confidently say that the content learned and experience at Noble Desktop has surpassed my expectations on all levels. Never thought I would fall in love with web design! Thanks to Noble, I have found my passion and look forward to this exciting career development! Here at Noble Desktop, our small class size means you’ll receive plenty of individual support. All of our design courses, from Web Design to UX and UI Design, have you working on projects right away. You’ll use Sketch to lay out a website before passing it along to a programmer, and Photoshop to optimize graphics for the web. If you attend our Web Design Certificate, you’ll learn front-end web development languages and frameworks as well as design and layout techniques so that you can bring your visions to life. On the first day of class, you’ll receive a training manual developed by industry leaders and instructional experts. Each manual has step-by-step instructions to help you re-create the activities we cover in class. And if you ever feel like you need a bit more time to study, you can retake a class that you complete for free within six months. Learn by doing. Design and create your own projects and websites in our web design classes. Our instructors are web & UX designers with years of industry experience and a passion for sharing their knowledge. Since Noble Desktop started in 1990, we have worked with over 40,000 web and graphic designers. Our seminars, courses, and certificate programs have earned more than 2,000 positive reviews from students in New York and all over the world. Our alumni are employed at top international firms, including NBCUniversal, Oracle, American Express, and publishing giant Condé Nast. Many of our alumni launch successful freelance careers in web design. Which Web Design Course is Right for You? So you want to learn to design and build websites? Let’s talk about where should you start, what you need to learn, apps you’ll need, industry terminology, and more. There are two sides to creating websites: design and coding. At Noble Desktop you can enroll in individual classes or full certificate programs focused on design, coding, or both. The foundation of all webpages is HTML & CSS. HTML marks up or labels content such as headings, paragraphs, lists, links, and more. CSS styles the content based on your markup. HTML & CSS are easier to learn because they are coding, not full-blown programming. HTML is the easiest because there’s less code and complexity. CSS takes a bit longer to master because there’s more to it and it has some concepts that need to be understood for things to work properly. CSS continues to get new features faster than HTML, with newer layout techniques such as flexbox and grid. CSS continues to develop to give developers more control over the layout and appearance of a webpage. You can get started with the basics of HTML and CSS in only 3 hours in our Intro to HTML & CSS class. If you need to learn it more in depth, take our Web Development Level 1 class, or for the most comprehensive program take our Front-End Web Development Certificate. When learning HTML, CSS, etc., keep in mind that you are learning a language! Kids learning to speak their native language can understand you before they can speak, and when coding you’ll be able to look and understand code before you can know what to type in from scratch. Learn the codes and know what they do. Type those codes repeatedly to ingrain them into your memory. As you start coding you’ll need to reference the books you get in our classes, Google, etc. until eventually you’ve written that code enough times that you can remember it without having to look it up. Noble Desktop’s front-end classes are a great way to learn to code. They come with step-by-step workbooks which you can reference later if you forget how to code something. You can practice by going over the exercises and once you know the code you can start using it to build your own pages. Visual designers create the look and feel of the website, and make decisions over layout, typography, composition, and more. Using Sketch, Adobe XD, or Photoshop, designers layout webpages and optimize graphics. We offer visual design courses that focus on learning the applications, as well as a Visual Design Bootcamp to learn design concepts and to start developing a portfolio. User testing is an important part of the UX design process. UX designers demo a prototype to prospective users, so they can understand a user’s pain points while using the product, and suggest improvements. Sometimes users won’t notice or interact with a particular button or will propose a new feature. The use of animation in webpages and emails continues to increase. You can use it to catch a user's attention, and make your content stand out. Videos are a great way to demonstrate things in ways words and photos simple cannot, and are becoming more common in today's websites. Animated GIFs work virtually everywhere, so they can be used in emails and webpages. From social media posts, to email announcements, to ads, to webpage animations, animated GIFs are good for short animations. Photoshop makes it easy to create animated GIFs. If you want to create more complex animations, you can build them in Adobe After Effects and convert that into an animated GIF. After Effects is used for animation and video post-production. With it you can design and deliver professional motion graphics and visual effects for film, TV, video, and web. You edit video in Premiere Pro. Put video clips together, trim off unwanted parts, add audio, color correct footage, adjust timing, and so much more with this powerful video software.